Our CBD Oil is extracted from the whole plant and has zero THC. It’s called full spectrum because all of the cannabinoids are present, minus THC. Many researchers believe full spectrum oil is needed to garner the greatest medicinal benefits as opposed to a product offering just CBD. If a product has CBD only it is often called CBD isolate. This product is often less expensive but also not as beneficial to the body. Naturally the plants extract is said to contain anti-inflammatory and antioxidant properties. Each new batch of oil is carefully tested to ensure quality and purity. Cannabidiol is a popular natural remedy used for many common ailments. CBD oil is made by extracting CBD from the cannabis plant, then diluting it with a carrier oil like coconut or hemp seed oil. More recently, scientists have discovered that certain components of CBD, are responsible for its pain-relieving effects. It’s gaining momentum in the health and wellness world, with some scientific studies confirming it may help treat a variety of ailments like chronic pain, anxiety, depression, inflammation, changes in mood, social anxiety, cancer-symptoms, insomnia, and many other aliments. The human body contains a specialized system called the endocannabinoid system (ECS), which is involved in regulating a variety of functions including sleep, appetite, pain and immune system response. The body produces endocannabinoids, which are neurotransmitters that bind to cannabinoid receptors in your nervous system. Studies have shown that CBD may help reduce chronic pain by impacting endocannabinoid receptor activity, reducing inflammation and interacting with neurotransmitters. 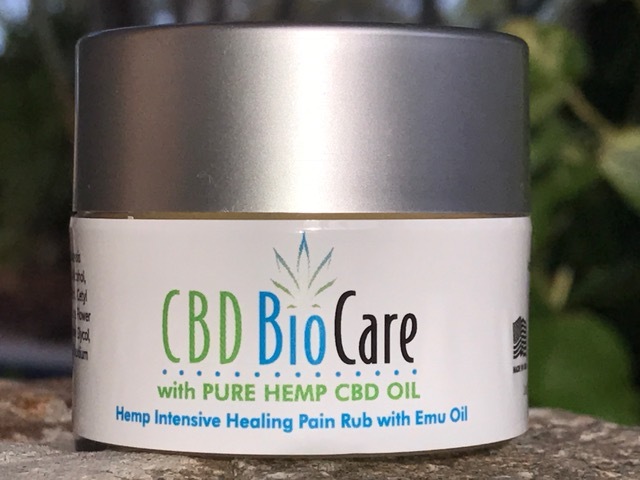 For example, one study found that CBD injections reduced pain response to surgical incision, while another study found that oral CBD treatment significantly reduced sciatic nerve pain and inflammation. CBD oil has shown promise as a treatment for both depression and anxiety, leading many who live with these disorders to become interested in this natural approach. CBD oil has even been used to safely treat insomnia and anxiety in children with post-traumatic stress disorder. CBD has also shown antidepressant-like effects and these qualities are linked to CBD’s ability to act on the brain’s receptors for serotonin, a neurotransmitter that regulates mood and social behavior. CBD may also help reduce chemotherapy-induced nausea and vomiting, which are among the most common chemotherapy-related side effects for those with cancer. CBD is an amazing plant extract, especially for aiding people with muscle, nerve and joint pain when used topically. This cream is packed with ingredients from nature that are known to help fight inflammation. Get the results you expect.